Tyson Fury is Wladimir Klitschko's mandatory challenger but the Briton doubts whether the Ukrainian has the courage to face him as he fears being knocked out. Fury took part in a training camp with Klitschko in Austria in 2010 when the IBF, WBA and WBO super heavyweight champion was preparing to face another Briton in Dereck Chisora. Chisora lost that rearranged fight in 2012 and was beaten convincingly by Fury last month in a contest where a mandatory challenge to Klitschko's WBO title was at stake. Fury, who is expected to fight a to-be-confirmed opponent at London's O2 Arena on February 28, does not expect Klitschko to go through with the bout. Should the promoters fail to come to a deal - with Frank Warren hoping the fight would take place in the UK, possibly at Wembley or Arsenal's Emirates Stadium - the bout would go to purse bids, with the possibility Klitschko would vacate the titles, giving Fury a title bout next summer anyway. 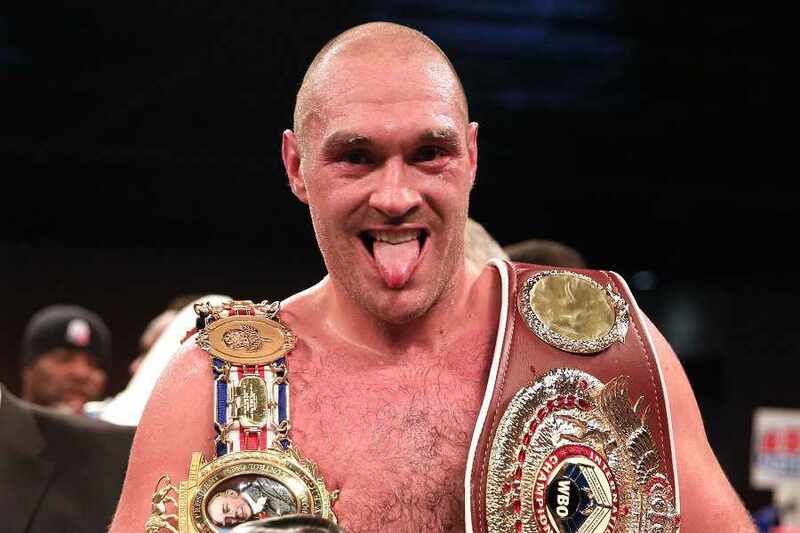 "I'm a million per cent convinced this fight ain't going to happen," Fury said. "I don't think Wladimir will fight me. If he does it's a miracle. "I don't care what the promoters say, I've looked in his eyes and I saw fear. I know he's not going to fight me. "If it does happen he'll get knocked out after seven, eight rounds, after being involved in a bit of a brawl. "He's old, he gets tired fast and I'll knock him out for sure. "When I do I'll unify the division against (Bermane) Stiverne or (Deontay) Wilder. "And then, I might take one more, two more defences, take a bit of a break. And then we'll see, wait for the next big challenger. I've got it mapped out. "It's a very big fight. It's a big fight that potentially could be in the UK. "If it is it'll be one of the biggest events ever. How good would it be for a British man to knock him out and get all the belts? Be the undisputed heavyweight champion of the world." Fury's certainty over the Klitschko fight is based on the wisdom of late trainer Emanuel Steward. "Emanuel Steward was a very inspirational trainer and people listen to what he has to say," Fury added. "He told Wladimir that I was the heir to the throne and within two years I'd take his title off him. He was right about that." WBC champion Stiverne and Wilder are scheduled to meet on January 17 in Las Vegas. Fury must wait to discover who he will face in February, with Warren hoping to confirm the opponent this week. Warren had hoped to bring the Klitschko fight forward. The promoter said: "I wrote to Wladimir Klitschko's camp, saying 'why don't we cut through all this, go to March and get the fight on?'. "I've not had any response from them, which is a great shame. "We'll just have to keep Tyson busy. He's going to fight on February 28 at the O2 Arena in London and he'll fight a world-ranked opponent to keep himself fighting fit and match fit, so he's prepared and ready for Wladimir Klitschko after his March fight. "It's going to be quite embarrassing for Wladimir Klitschko if he decides he's not going to fight. He'll have to vacate the title. "That would not put him in a good place with boxing fans. We all want to see the best fighting the best and Tyson, without a doubt, is the best challenger out there. "He's undefeated. He had quite an impressive performance last time out and if Wladimir ducks him and fights another hand-picked opponent I think he'll go well down in boxing fans' estimation."